It was in 1976 that Zecharia Sitchin stirred the esoteric world with his controversial book The Twelfth Planet. Sitchin interpreted ancient Sumerian text to claim that the ancients knew of a planet called Nibiru. Sitchin predicted that Nibiru followed a wide orbit through our Solar System and swung close to Earth every 3.600 years. He suggested that it was from this planet that the mysterious alien giants, described in the Book of Genesis and The Epic of Gilgamesh, originated. Sitchin predicted that Nibiru would return in the year 2012 and possibly collide with Earth. The year 2012 came and went and Sitchen’s theory was proven wrong, which was a very good thing for the seven billion people packing the planet. 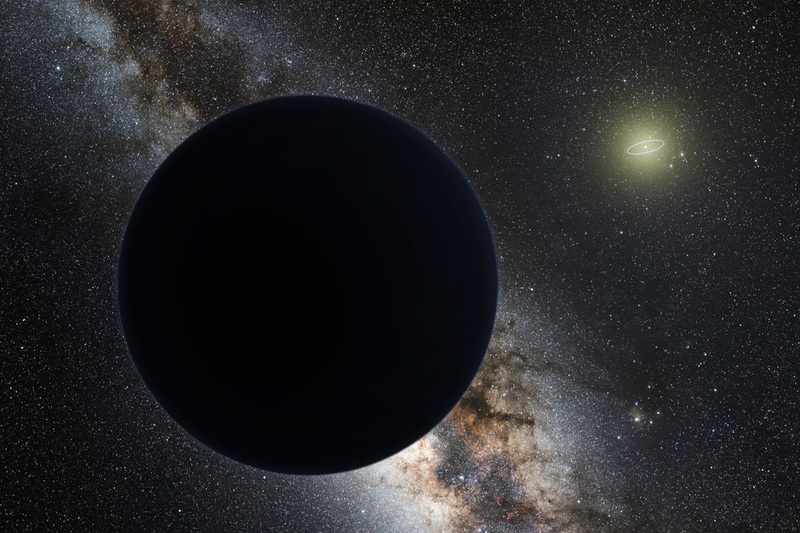 Strangely, however, the chatter about a possible twelfth planet stirred astronomers to upstage a real quest for “Planet X” and consequently they discovered some odd things flying around in a region past Neptune. Actually, astronomers have been on the hunt for “Planet X” ever since a mystery planet was predicted in 1846 by French mathematician Urbain Le Verrier. He based his predictions on the existence of unexplained gravitational effects observed in the known Solar System. Based upon Le Verrier’s theories, Astronomers at the Berlin Observatory discovered Neptune, right where Le Verrier thought it would be. Because of the way Neptune was discovered, astronomers began studying the movements of all the known orbiting bodies, believing that even more planets may be waiting to be discovered. And sure enough, in 1906 Percival Lowell, the man who discovered what he thought were artificial canals on Mars from his new observatory in Flagstaff, Arizona, also discovered Pluto. It was perhaps Sitchin’s book that stirred the allure of Planet X once again. Since 1992 and with the help of newer and more powerful telescopes astronomers discovered thousands of small icy worlds circling our sun from beyond Neptune and extending far beyond Pluto. Several other large bodies of ice as large and even larger than Pluto were discovered. Because of that research Pluto lost its claim to be a real planet. It now is rated among the larger ice "planetoids" circing in what is known as the Kuiper belt. When Comet Elenin appeared in 2011, there was concern that it may be on a collision course with Earth. The comet was large enough that some doomsday theorists suggested it was really Planet X in disguise. Instead of colliding with Earth Elenin got too close to the Sun and broke into fragments, which are still following that comet’s old course through the heavens. Indeed, serious scientific papers have been published since Sitchin’s Nibiru theory appeared. Researchers have argued whether a large planet with such a strange orbit could really exist, whether it could support life, and if it was real, how it could follow an eccentric orbit without creating instabilities within our Solar System. Now researchers Konstantin Batygin and Mike Brown, planetary scientists at California Institute of Technology, claim they have evidence that a very large gas giant may really exist somewhere on the outer regions of the Kuiper belt. Fortunately they believe this monster planet, like all of the other planets, is following a regular course of circling the Sun and is not a threat to anyone. If it exists, it has been there awhile. Batygin and Brown recently published their findings in The Astronomical Journal. They are basing their theory on several years of careful study of six known and very large planetoid-type objects spinning around within the Kuiper belt. By studying the strange elliptical orbits of these tiny ice planets they conclude that a massive body with an unknown gravitational pull is affecting their movements. Other researchers have peered closely at Batygin and Brown’s research and agree that they are offering a plausible theory. But everyone agrees until this mystery planet is actually found, they cannot say it really exists.